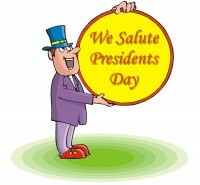 I hope you all are off from work and enjoying Presidents’ Day. I want to pass on what Jennifer told me in an e-mail: A Perry Mason movie marathon will be running all day (today) on the Hallmark Movie Channel. Danna, I just have never cared for Raymond Burr. My hubby loves this series so I know where he will be all day today-watching Perry Mason! We watched the “McBride” mystery series yesterday on the Hallmark channel. I can watch this series if there isn’t anything else on. But what drives me nuts is that music that plays along with the shows. Gives me the willies!!! Linda, my husband and I are slowly making our way through the McBride mystery movies. I really enjoy John Larroquette’s portrayal of the lawyer, and his relationship with the detective (Marta DuBois, his assistant (Matt Lutz), and his inherited dog – but you’re right about that music! Now you make me want to go watch a McBride movie because I have no idea what you’re all talking about with the music! Too funny. Julia, McBride is as Cozy as the Murder, She Wrote television series is. But, that music is really odd! Oh, dear. To have to choose between an NCIS Marathon and a Perry Mason Marathon on the same day? No fair! I adore A Letter to Three Wives, except for the creepy part when they slip into a flashback and you can hear the voice repeating the bad girls’s name (I can’t remember what it is offhand) over and over again. Gives me the shivers every time! Julia, Addie could do no wrong >>> according to the three husbands! We only get the regular Hallmark Channel and they don’t show mysteries now. 🙁 Dad and I used to watch the old B&W show on A&E about ten years ago and it became one of my favorite mysteries. Donna, that was back when A&E stood for Arts & Entertainment… before it went the route of reality TV. Linda, it’s so odd that you said that, I watched some of McBride and thought the exact same thing about the music, it drove me nuts, I like those types of shows (McBride, Kellie Martin Mystery Woman was another favorite of mine too), but it seems they stopped playing those new ones. But I agree about McBride’s music! Thank you, Jennifer, for writing that note to me about the marathon. I wouldn’t have known to post that information, and I am sure several people benefited. I really enjoy the Kellie Martin Mystery Woman shows, also. They truly are Cozy! That McBride background music is a mystery to me, also. Even tho I recognize the Perry Mason (1957-1966) series is a classic, I do prefer the movies that ran from the mid 80s into the 90s. They aired four or five times a year up until Raymond Burr passed away in 1993. I looked forward to them. They do show them from time to time on Hallmark. I too love the Mystery Woman movie series. I have two of them on DVD but they don’t seem to the have the whole series out. Of the three (McBride, Jane Doe and Mystery Woman) I do like Mystery Woman the best. You are very right Danna, truly cozy! Margaret, I wasn’t crazy about the Jane Doe mysteries. As a matter of fact, I didn’t watch too many of them. It would be great if one of the networks would do another alternating roulette with different mystery shows … other than relying on the current series – and all of their spin-offs! Something along the lines of the Ellery Queen Mysteries or these three you mentioned in your comment. I prefer the movies as well; nothing against the old show but I grew up with Raymond Burr as Ironside, so seeing him young (and not in a wheelchair) as Perry Mason is just weird to me. Plus, I enjoy the longer format which allows more plot development. I also respect the fact that he donated most of his earnings from these movies to scholarships and charities, and kept working even when he was ill because he had his royalties earmarked for scholarship endowments – now that’s a class act. Julia, thanks for telling us about Raymond Burr’s philanthropic endeavors. Darn, I don’t have cable any longer. I have to admit, I opted for NCIS. I love Raymond Burr, and even more so Barbara Hale (Della Street)! But I am a bigger fan of the old b&w series. Some cable channel here in Massachusetts used to show them at midnight Mon – Fri, when I was working till 11:00 p.m. It was the perfect way to unwind! Nan, I enjoyed the Raymond Burr Perry Mason shows with Barbara Hale’s son (William Katt) playing Paul Drake’s son.